A member of the Theaceae family. It develops as a wonderful small tree with very attractive peeling bark. 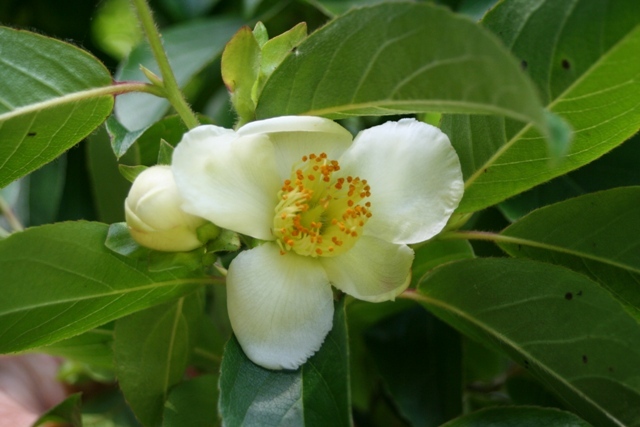 The flowers are small, single and Camellia like with white petals and a central boss of bright yellow stamens. As the name suggests it is a Chinese native and was introduced, in 1901, by Ernest Wilson.